You’ve probably heard that 10 Cloverfield Lane began as a film unrelated to the original, called The Cellar (or Valencia). Then, the producer J.J. Abramos decided to rename it and turn it into a sister film (not a sequel) of the original Cloverfield of 2008. It was probably a mistake because it makes us believe that this new movie, although entertaining, plays in the same league as Cloverfield. As shown, Mary-Elizabeth Winstead plays Michelle, a woman who suffers a car accident. She wakes up in a mysterious basement, being a captive of a strange guy named Howard (brought to life by John Goodman). Howard says there has been a kind of apocalypse and that “everyone out there is dead.” It is the prototype of a paranoid man who really thinks that this time the Apocalypse has arrived. Michelle is with him and also with another boy, Emmet (John Gallagher Jr). He soon realizes that Howard is a really weird guy and that he is not telling the whole truth. 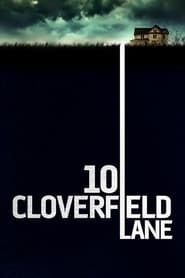 As the movie progresses, it does not take long for you to realize that 10 Cloverfield Lane is not connected to the original beyond the titles. Not even part of the same genre: Cloverfield is a huge and hectic movie in which his characters run for an hour and a half in New York. 10 Cloverfield Lane is a slow and paranoid thriller about three guys locked in a basement. The main pleasure derived from seeing 10 Cloverfield Lane supposes to appreciate the masterful performance of Goodman in the paper of a control obsess, almost infantile, that can or can not be in the right preparation in that way for an apocalypse. The usual affability of the actor is replaced here by a series of tics and reactions that manage to keep you completely trapped in his madness, without overreacting him at any time. The “redneck” aspects of the character are sometimes a little abrupt, but Goodman manages to turn Howard into someone you could meet in the real world. The heart of the film involves the interaction between Howard and Michelle, that the whole deal tries to guess what has actually happened while trying to stay safe. Michelle is the one who has the most profound evolution during the film: at the beginning we are told that her first impulse when she detects problems is to flee, and suddenly she finds herself locked in a basement with someone whose first impulse is precisely to hide. The way she handles that confrontation makes her change and we see how that happens during the movie. Winstead does a good job of representing Michelle’s evolution.